Croatian pianist Marijan Duzel enjoys an active concert career. He has been invited to participate in the prestigious International Telekom Beethoven Competition in Bonn in December 2017. As a part of his preparation for the competition, Marijan will perform pieces by Bach and Beethoven. Marijan Duzel (1990) studied with Djordje Stanetti and Dubravka Tomsic, and currently studies at the Koninklijk Conservatorium Brussel with Aleksandar Madzar. 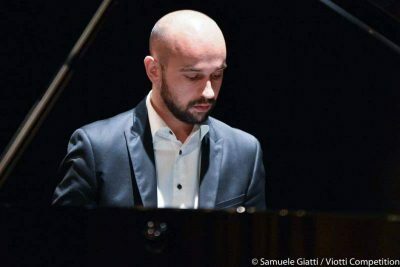 He was a semifinalist of the 14th Beethoven International Piano Competition Vienna in 2013 and most recently won one of the most prestigious Croatian music awards “Darko Lukic“ for the best recital given by a young musician at the Lisinski Hall in Zagreb. As a soloist, Marijan performed with the Zagreb Soloists Chamber Orchestra, Zadar Chamber Orchestra, Orchestra of Croatian National Theatre in Split and others. He gave recitals at many festivals such as Music at Eelswamp (Thailand), International Keyboard Institute & Festival (New York), Nei Suoni dei Luoghi (Italy), Hvar Summer Festival, Zadar Concert Season, Rab Musical Evenings, Concerts in Euphrasian Basilica, Youth at Lisinski (Croatia) and others. Tickets : 12€ for adults and 8€ for children and students.